We are thrilled to announce we are teaming up with Infusionsoft to Help Small Businesses Succeed. As an Infusionsoft Certified Partner, Grow The Dream is able to expand our education and training services by joining a community that’s focused on helping small businesses reach new levels of success. We are committed to helping local business owners grow revenue through higher closing rates, greater sell-through, and more referrals, and avoid wasting valuable time and resources on unmeasurable and ineffective marketing campaigns with our Strategic Business Growth Assessment. “We believe that behind every business is a dream. We exist to help bring those dreams to their maximum potential,” said David G. Johnson, founder of Grow The Dream. 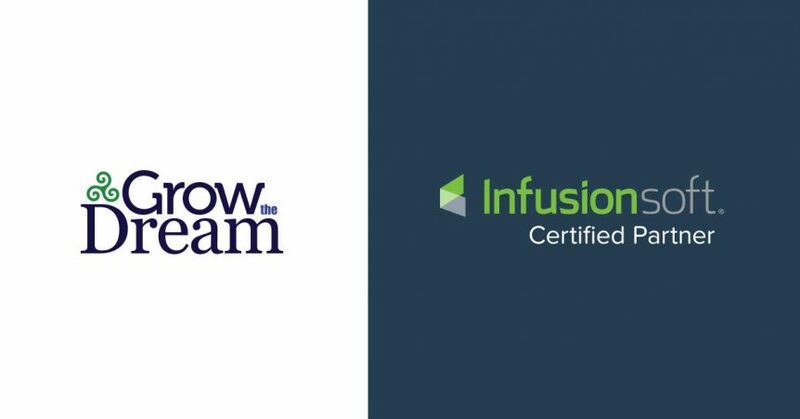 Infusionsoft’s Certified Partner Program provides powerful solutions for small businesses such as web development, copywriting, marketing consultations and other professional services. This powerful combination has allowed Infusionsoft and its partners to be dominant forces in the small business success movement. To learn more about how Grow The Dream and Infusionsoft are helping small businesses like yours, take a moment to check out our eBook, The Ultimate Guide for Maximizing the Value of Leads. 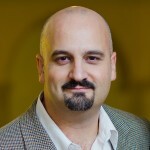 Infusionsoft is on a mission to simplify growth for millions of small businesses worldwide. Built for growth-minded small businesses, Infusionsoft provides the leading cloud-based CRM platform with 145,000 users worldwide. Unlike single-purpose tools that don’t work well together, the platform organizes all customer interactions in one place, integrating with thousands of other apps to empower small businesses to deliver more personalized service and close more business. The privately held, eight-time Inc. 500/5000 company is based in Chandler, Arizona and is funded by Goldman Sachs, Bain Capital Ventures, Mohr Davidow Ventures and Signal Peak Ventures. For more information, visit www.infusionsoft.com, or the Infusionsoft blog. Grow The Dream helps business owners and their teams avoid wasting time and valuable resources on ineffective and unmeasurable marketing initiatives. Through a mix of strategy consulting, content marketing services, and training and coaching, Grow The Dream helps business owners, entrepreneurs, and small business CEOs achieve high rates of return on their marketing investments. Based in Sarasota, Florida since 1998, Grow The Dream is a family owned and operated business serving businesses from local “Mom & Pops” all the way to multi-national conglomerates, and even household names like Ziglar, Inc. For more information, visit GrowTheDream.com or the Grow The Dream blog.